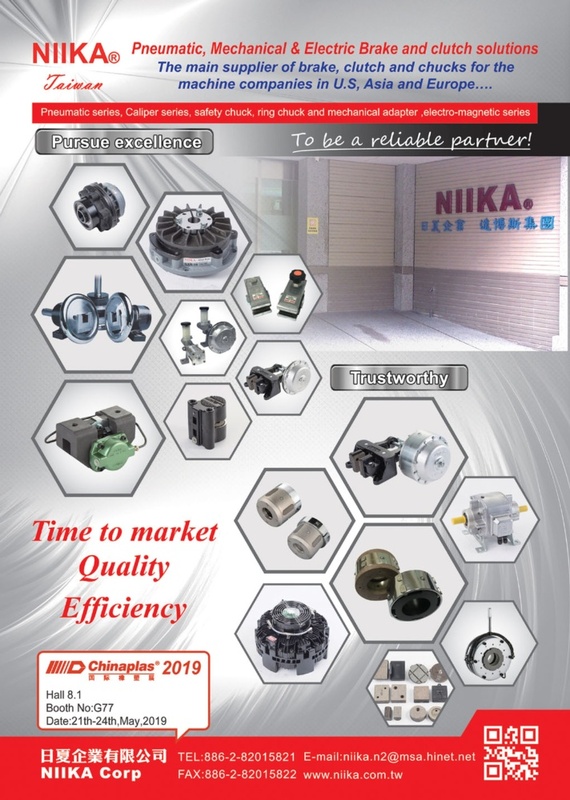 Niika Corp is a Taiwanese based manufacturer of machinery parts for paper machine, package rubber industries and other web-converting application. With 30 years well experiences, we always focus on to offer a superior product with reasonable price and excellent service to our esteem customers for all over the world. Our products lines mainly focus on pneumatic or some electromagnetic parts,and motion control products. They are included a variety of air shafts, ring chuck, safety chucks , pneumatic brakes, pneumatic clutches, electromagnetic brake and clutch or its combination, powder brake, or clutch and some related detector ,edge position controller and their accessories. We are delighted to receive your inquiry, and we will provide you’re the best support in your market or to be the best partner of your machine.